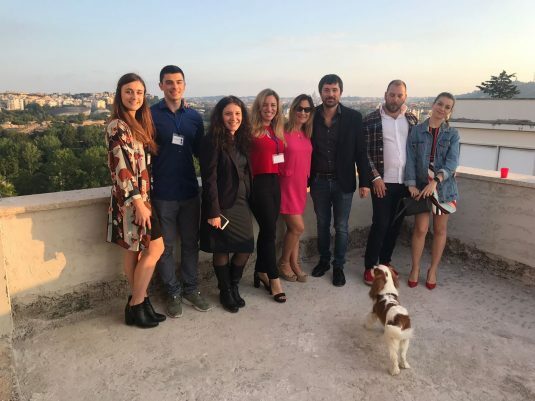 This year, Open House Rome was held on May 12-13 and NOS Design took part for third consecutive year with our studio located on the Fleming hilltop and our ongoing project ’Penthouse Fleming’, which is in the same building. Open House Rome is an association that celebrates the architecture and design of Rome, and this year’s edition showcased 150 sites in seven main areas of the city. For one weekend, the public was invited to visit the best architecture and contemporary design that the city has to offer. This year’s focus was on contemporary design, which corresponded well with the nature of the studio and ‘Penthouse Fleming’. The team of NOS Design, headed by the director of the studio – Architect Benedetta Gargiulo Morelli – welcomed the guests and gave them a tour around the studio and ‘Penthouse Fleming’, as they shared their work, the mission of the studio and how the current projects have been developing so far. The visitors got familiar with all the challenges the studio faced during the construction process of ‘Penthouse Fleming’ and how they were resolved. A special video material, containing the most important highlights of the construction work, was running throughout the entire event and it was greatly appreciated by our guests. We are happy finish the week successfully. The team of NOS Design wishes to express their gratitude to everyone who made it to the event!